I recently read that Venetians have a pretty cool version of happy hour: It includes a tour of bacaro or quick pit stops that serve cicchetti and spritz. Basically, cicchetti are the Italian version of tapas, so they’re perfect for a pre-dinner nibble. Now, in Bonifacio Global City, there’s a secluded Italian restaurant that specializes in cicchetti. From the people behind gastropub Belle and Dragon, this restaurant named after the dish is conceptualized as a response to Manila’s growing fondness for tapas bars, only this one elevated the game. The 26-seater indoor restaurant also has a bar inside. They call their outside bar and lounge Mazzo, which has low-sitting chairs and potted flora. So they did. They opened Cicchetti on the eighth floor of MDI Corporate Center, which is situated in the relatively not so busy part of the Taguig business district. The stylish yet cozy restaurant can seat 25 people inside and around 30 at the open deck and bar outside (they’re still fixing Mazzo, the outdoor bar, which could sit more than 50 people). So what do elevated Italian tapas look like? Here’s the restaurant’s cicchetti flight, composed of eight open bread small bites. They recommend starting the flight with the housemade ricotta, a crostini with honey, almonds, a bit of smokey pimentón, and rosemary. 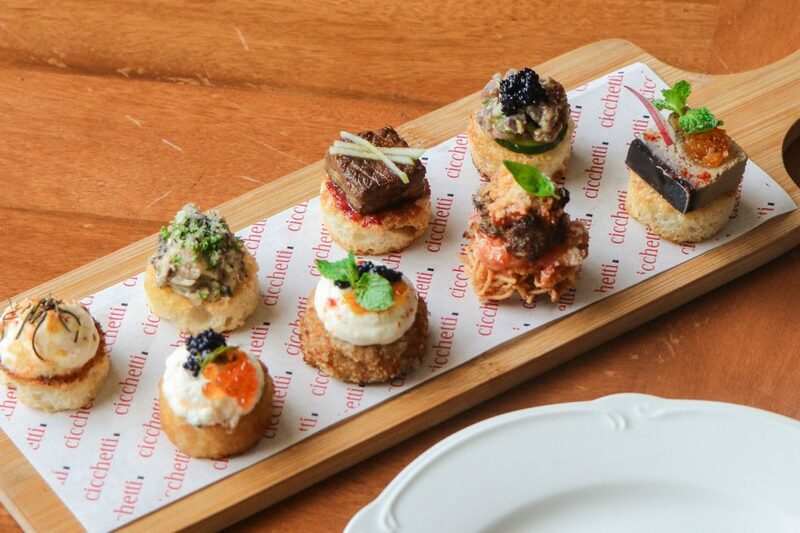 Follow it with caviar patatina, where a potato croquette is topped with chive cream cheese, lumpfish caviar, salmon roe, and a bit of dill, and then mushroom trifolati crostini composed of the trifolati, mushroom paste, chives, and parmesan cheese. The fourth cicchetti gives that needed sweetness as the crab polpette is topped with candied orange, cream ricotta, caviar, mint, and pimentón. Continue the flight with their best-selling seared foie gras, a crostini topped with strawberry compote, pan-seared foie gras, honey, and green apple. Their Alla Vodka pasta also has a cicchetti version—this one still has the pure beef meatball and the Alla Vodka sauce (which is made with tomato compote with onion soubise) on a nest of angel hair pasta. Follow it with carne cruda, which can be described as a bite-sized steak tartare topped with caviar. Finally, to end the flight, go for the chicken liver mousse, a crostini with chicken liver pate, candied orange, mint, sliced radish, and pimentón. Don’t forget to pair the flight with a good glass of chardonnay. For the aforementioned Alla Vodka pasta, they use spaghettoni, which is thicker in diameter than the normal noodles. Although easily filling, the easily noodles catch the wonderful sauce of the dish—tomato compote with onion soubise (a sauce made with onion, cream, and butter). On the side, there’s the equally delectable pure beef meatball covered in Pomodoro sauce. 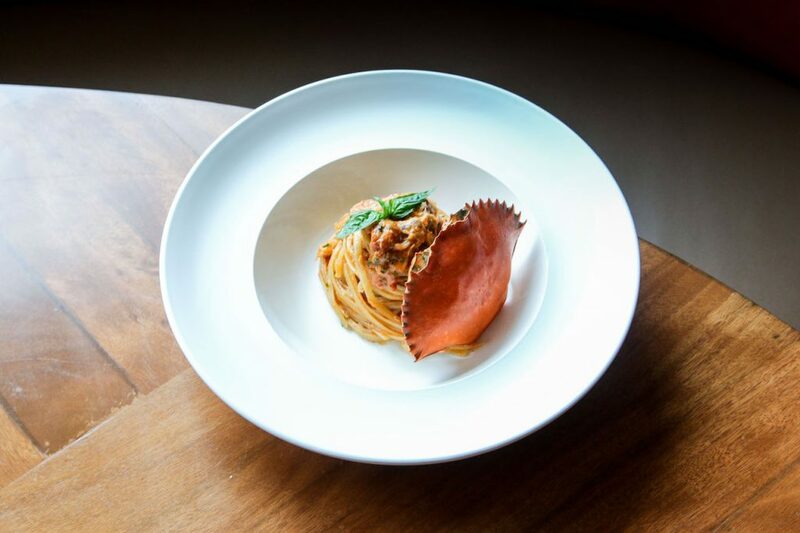 Another signature pasta of the restaurant is the Crab and Ricci (Italian for uni or sea urchin). It’s a linguine dish with tomato sauce that’s cooked with uni butter and shredded crab, so expect a rich, savory fare with a little spicy kick. These pasta dishes are best paired with a full-bodied red wine. 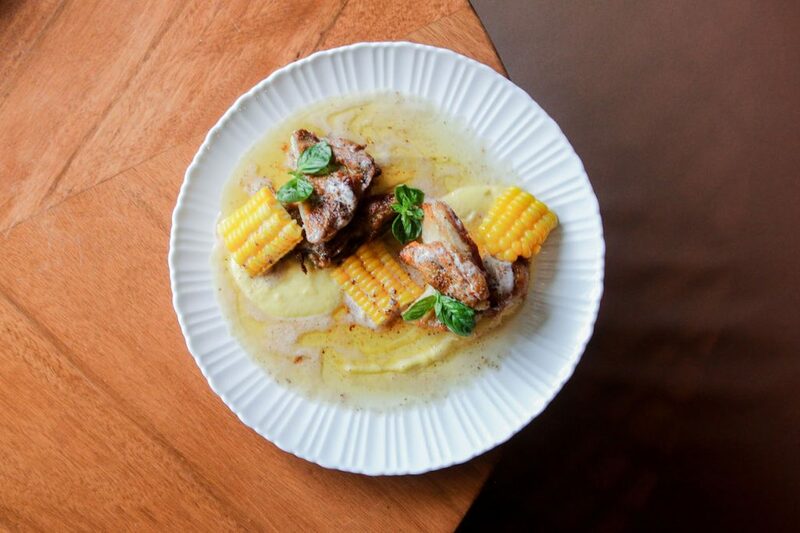 Try Pollo Alla Sostanza for your main where the pan-seared chicken breast and thigh draw their nutty character from the burro marrone or browned butter sauce and corn puree. 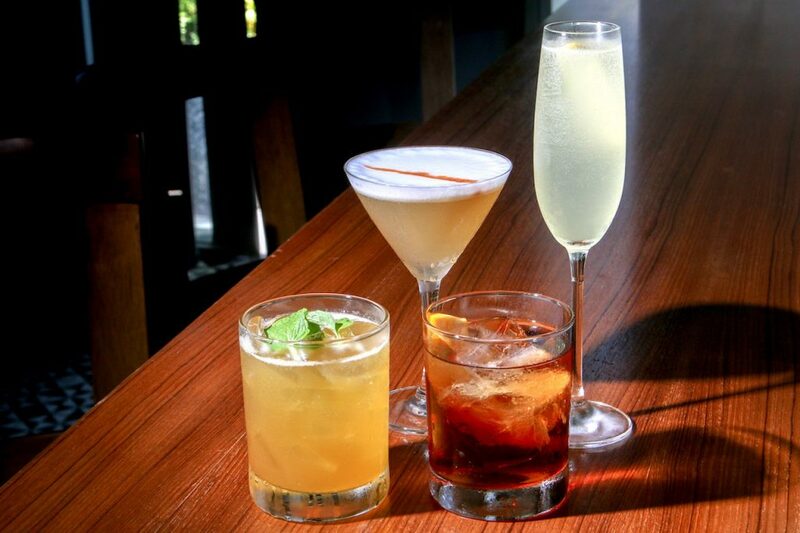 Cicchetti’s cocktails are basically reinvented classics with Italian twists. For example, their negroni is blended with bittersweet homemade amaro. Their whiskey sour, on the other hand, has herbs like mint and basil, while their Collins drink is concocted with housemade limoncello. 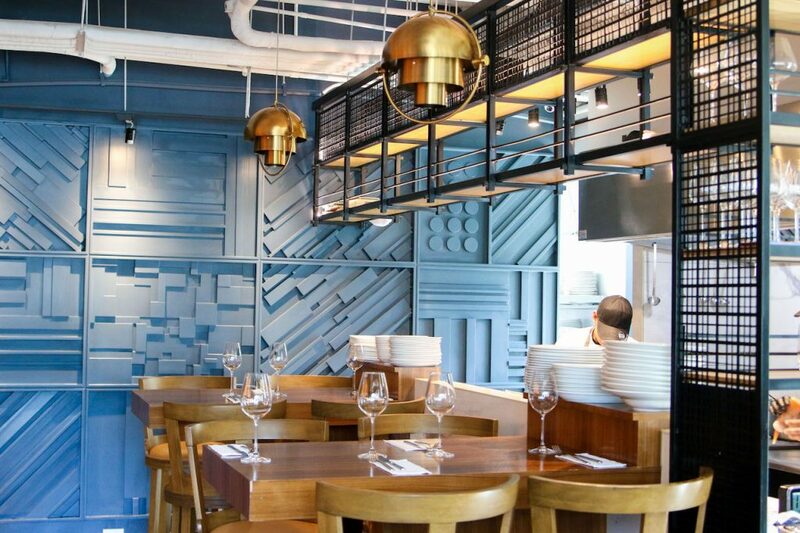 Cicchetti is definitely a great oasis without being too far from the city. You’d think that its location would be a con, but it’s actually not: It’s off the beaten path, serves great food, and elevates the happy hour tradition, which we need from time to time.